The theatre at Craig y Nos seats 150 'theatre style' or can be set up with round or square tables for around 50 conference delegates. 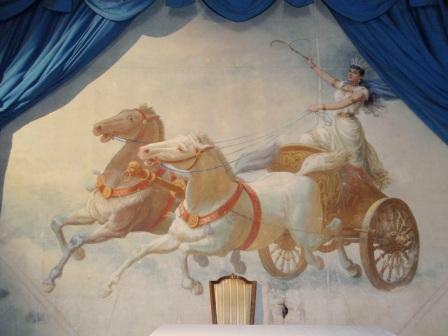 Behind the curtains there is a large stage area, with working backdrops. The orchestra pit willl take a 16 piece orchestra. 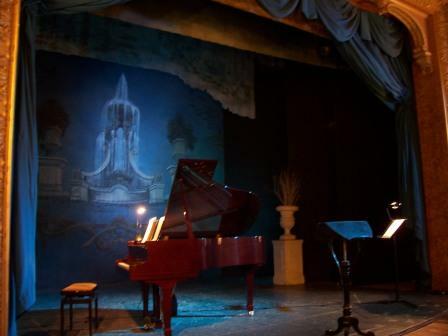 It is suitable for small charitable operas and entertainment events. 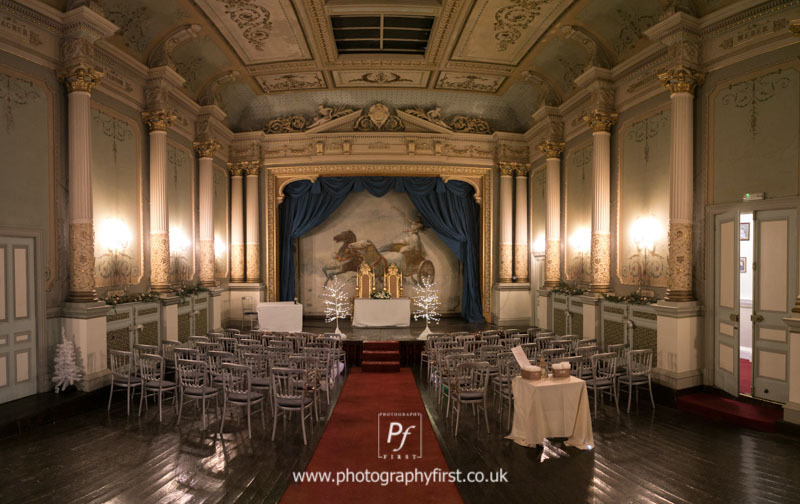 If you wish to hire an entertainer of your choice, to enthrall your guests, or to find somewhere unique and historical to hold your conferences, hire the Theatre at Craig y Nos! This room is a unique and historical venue for any major show-piece occasion. It has been used in film, a BBC TV Series and well known entertainers such as Joe Longthorne have performed here. The theatre is available for conferences in South Wales, theatre groups, operas, ticketed entertainment events and music shows. 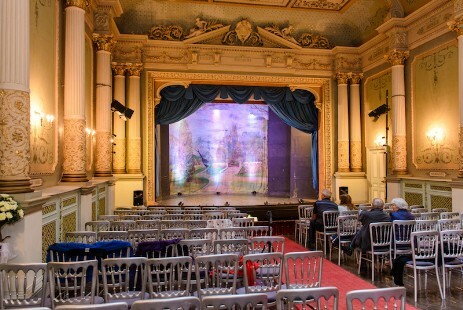 Many live performances have been put on privately in the Theatre. One Birthday Party Group even put on their own opera! 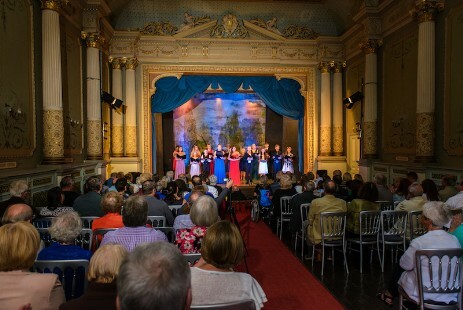 The Grade One listed Theatre at Craig y Nos, modelled on the Bayreuth Opera House, is one of only eight Grade One theatres in the UK, and one of only two in private ownership. 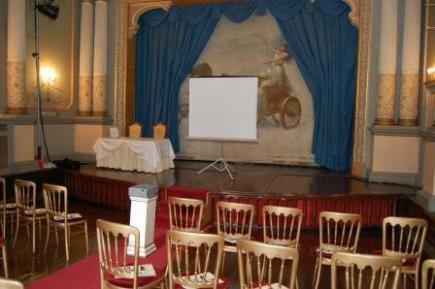 Craig y Nos Castle's opera house can be used as a stylish and historic conference venue. Popular for weddings, the Opera House has also been used for product launches and music videos. See our Swansea Conference Day Package Tariff here. See our Swansea Full Day and Evening Dining Tariff here. 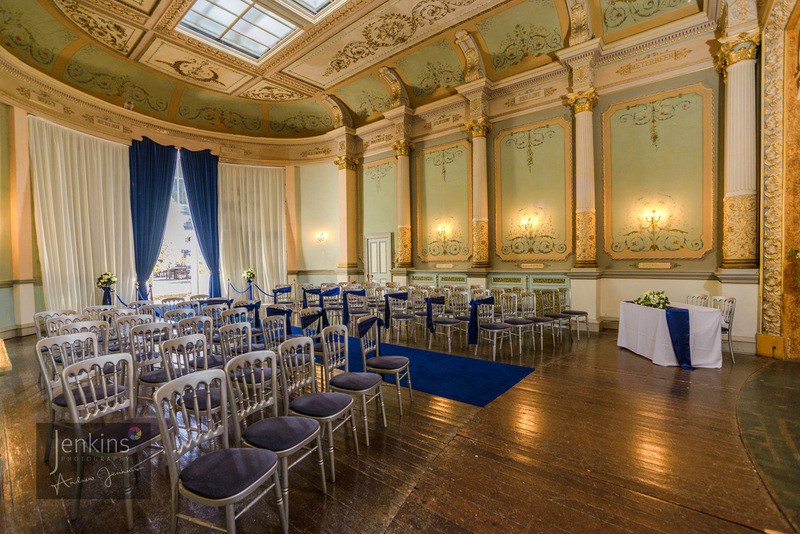 Craig y Nos Castle's opera house was pretty well purpose built for small to medium sized Conferences and Presentations with a large stage and a small cosy auditorium seating 150. 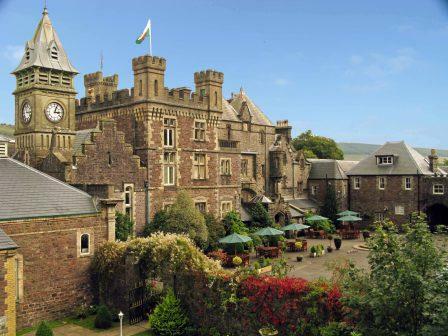 Craig y Nos is a unique South Wales Conference Venue where you can host large groups in a setting that is gothic and striking - surrounded by the beautiful mountain scenery of the Brecon Beacons National Park. No room is the same, for this is not your average modern square box hotel. Many period features remain, while a host of wood burning fires add to the ambience of this unique South Wales conference and meetings venue. We also have a reasonable amount of Delegate Accommodation, though we are set up more for double occupancy than single delegates. Craig y Nos Castle's group accommodation facilities range from en-suite to budget hostel standard and so can suit any group or conference organiser's pocket. 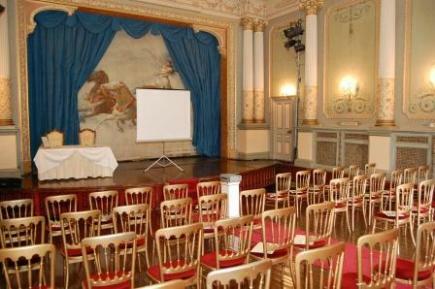 Our South Wales Conference Venue is half-way between Brecon and Swansea. 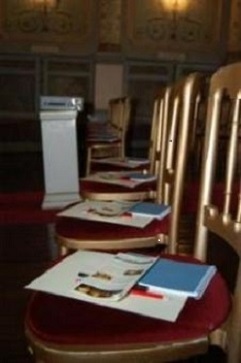 Craig y Nos Castle is used as a venue for Group activity breaks, conferences, and even group self catering. 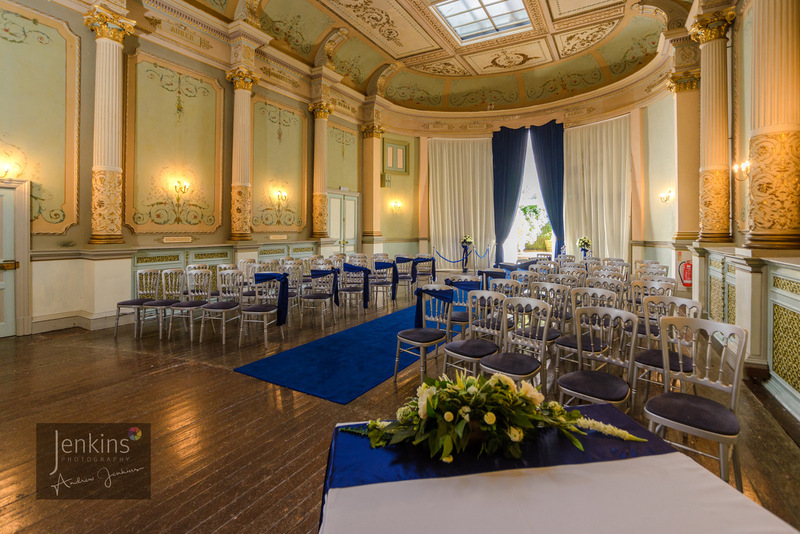 It is mainly used by Wedding Parties with large family accommodation needs, sleeping up to 81 in our en-suites and 19 in our budget hostel standard annexe, the Nurses Block.